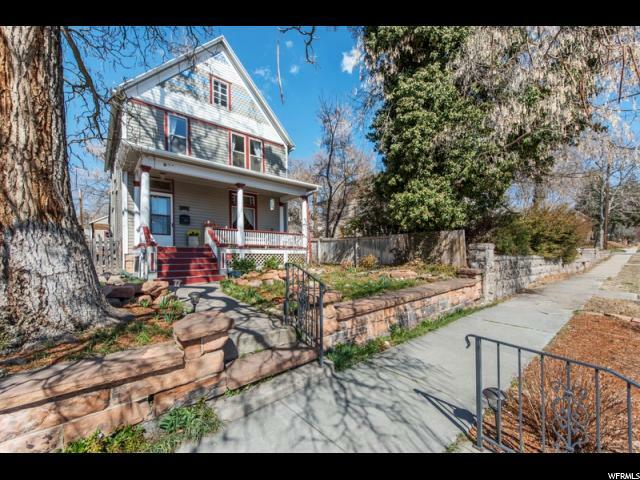 All THE LOWER AVENUES homes currently listed for sale in Salt Lake City as of 04/21/2019 are shown below. You can change the search criteria at any time by pressing the 'Change Search' button below. "Charm, character, and quality radiates from this classic Victorian two-story! Hardwood floors and turn of the century moldings compliment a superb flow throughout the home! The large remodeled kitchen includes a comfortable eating nook. The formal living room flows to the sitting/family room, plus the formal dining room fits all the guests you could imagine! The upstairs offers a newly remodeled bath plus three large bedrooms. The third floor space has excellent ceiling height for a private den, an artist studio, or a writer's paradise! Three season perennial private gardens and a 2 car garage."